From 1st June to the end of October the area around City Hall near Tower Bridge will be transformed into the London Riviera pop-up with food from Ceru Restaurant, with supper clubs from chef Tom Kime, and a number of drinks events including Ciroc masterclasses. It's a great location - make sure you go and check it out. "Launching on June 1st 2015, More London Riverside will be transformed into THE LONDON RIVIERA, an immersive food and drink experience open from 8am to 10pm daily, making it the place to be on balmy evenings for stunning sundown views of Tower Bridge and the Thames. The five-month bespoke pop-up, created and produced by Nick Zuppar and this team from THE FOOD FIRM, and designed by well-known Hollywood film designer Sonja Klaus. The riverside hub is inspired by the over-the-top Miami beachside and the chic French Riviera - decked out with palm trees, luxurious day-beds, giant pineapples and pink flamingos, LONDON RIVIERA will be a fabulously frivolous after-work meeting spot or a chilled weekend hang-out. Celebrity chef John Quilter has worked closely with CERU Restaurant and their Executive Chef Tom Kime to curate a sizzling summer menu, offering up an ever-changing menu that is bright, vibrant, colourful, healthy and most importantly, incredibly delicious, playing on the delectably fresh flavours of Eastern Mediterranean street food. Tom (previously of The River Café, Le Pont de la Tour and Rick Stein’s Seafood Restaurant) has embraced the fierce flavours of the Levant to create an exotic sharing food experience. Highlights include a beautiful kaleidoscope of dips including Pancar (roast beetroot, yoghurt, garlic and pistachio), Fadi (fried baby courgette purée with tahini, roast garlic, yoghurt & lemon) and Spicy Roast Red Pepper dip with chilli, walnuts & pomegranate molasses, all served with freshly baked pita; Crisp apple, pomegranate & mint salad with green chilli, lemon & roasted pine nuts; Salad of baby spinach with labneh, dried cranberries & toasted flat bread with za’atar; Ceru’s signature Slow Roast Lamb Shoulder with Shawarma Spices; Kebab Karaz Spiced Baked Meatballs with sour cherry and cranberry and Baklava flavoured ice cream with roast nut brittle, & burnt honey caramel. These exciting flavours will be complimented by Miami-inspired cocktails, craft beers, fresh pressed juices and organic coffee from CRU KAFE.LONDON RIVIERA is part of the MORE LONDON FREE FESTIVAL, running from 1 June to 24 September; the series of free events will showcase a free entertainment programme, including all of the summer's sporting highlights on the big screen (including Live Wimbledon, British Formula 1 and British Open Golf), live music, live theatre and cult and classic film screenings. 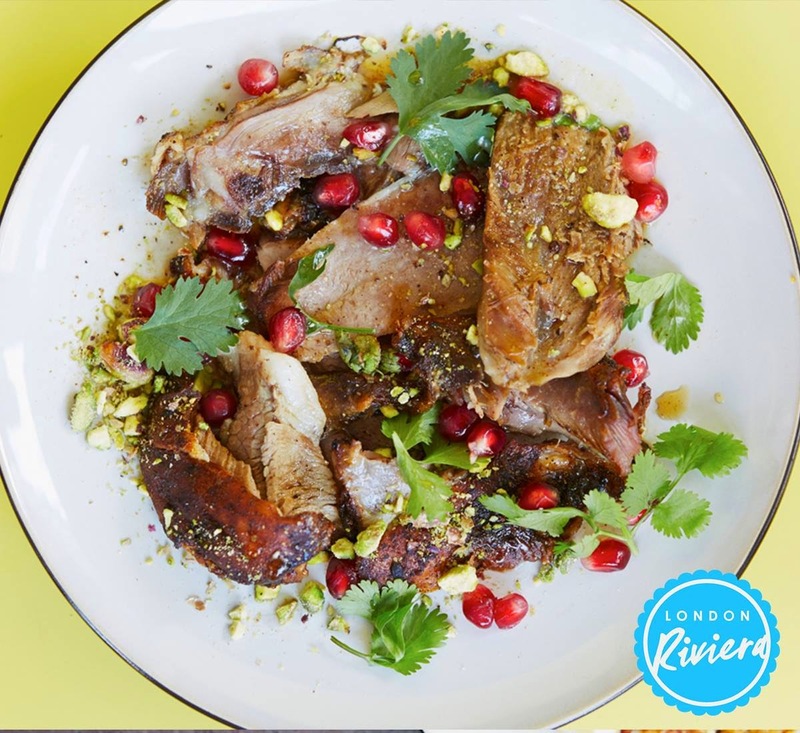 LONDON RIVIERA will be THE place to be this summer. In addition, there’ll be cocktail and mocktail mixology classes with some of London’s top mixologists, and special paired food, drink and live entertainment experiences. There is something for everyone, so come on down to the More London Riverside site by City Hall from 1st June onwards to enjoy the (hopefully!) warm summer days and long evenings with a few drinks, some delicious food and fantastic entertainment."